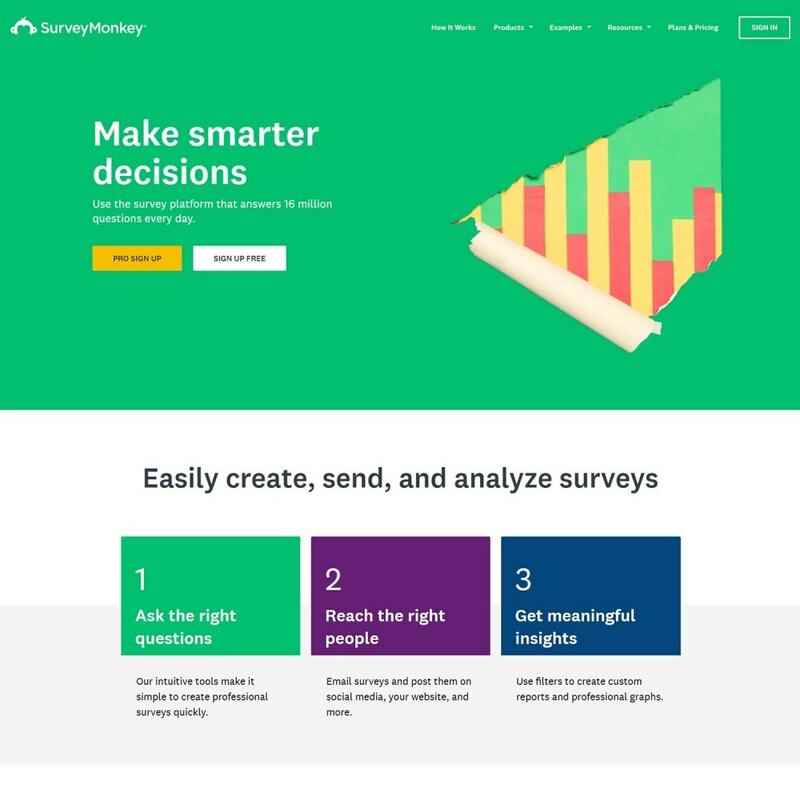 Use the survey platform that answers 16 million questions every day. 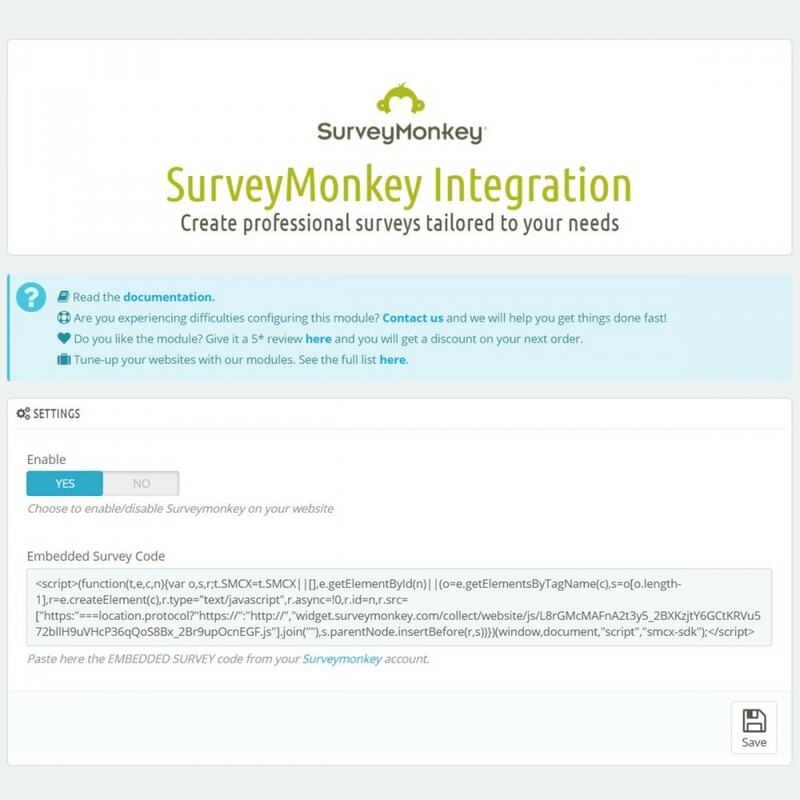 This module allows you to integrate SurveyMonkey with your shop. 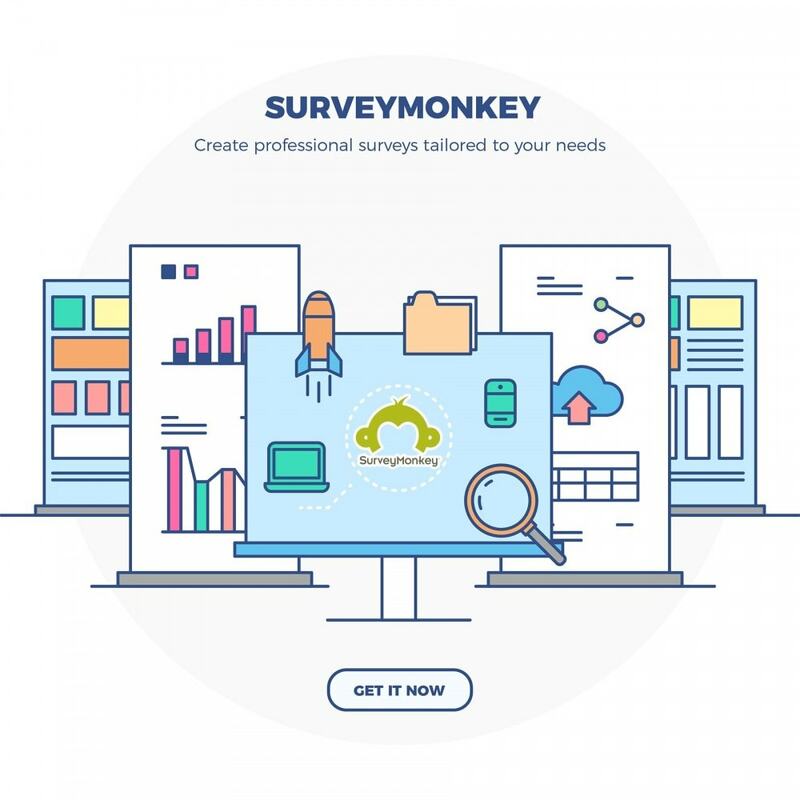 Ask the right questions - Our intuitive tools make it simple to create professional surveys quickly. Reach the right people - Email surveys and post them on social media, your website, and more. Get meaningful insights - Use filters to create custom reports and professional graphs. Customer Satisfaction - Get real-time feedback to improve products, services, and business overall. Employee Engagement - Understand how to retain the best talent and build employee satisfaction. Event Planning - Make your events more successful by gathering attendee feedback. Education & Schools - Get answers to develop programs and improve academic performance. 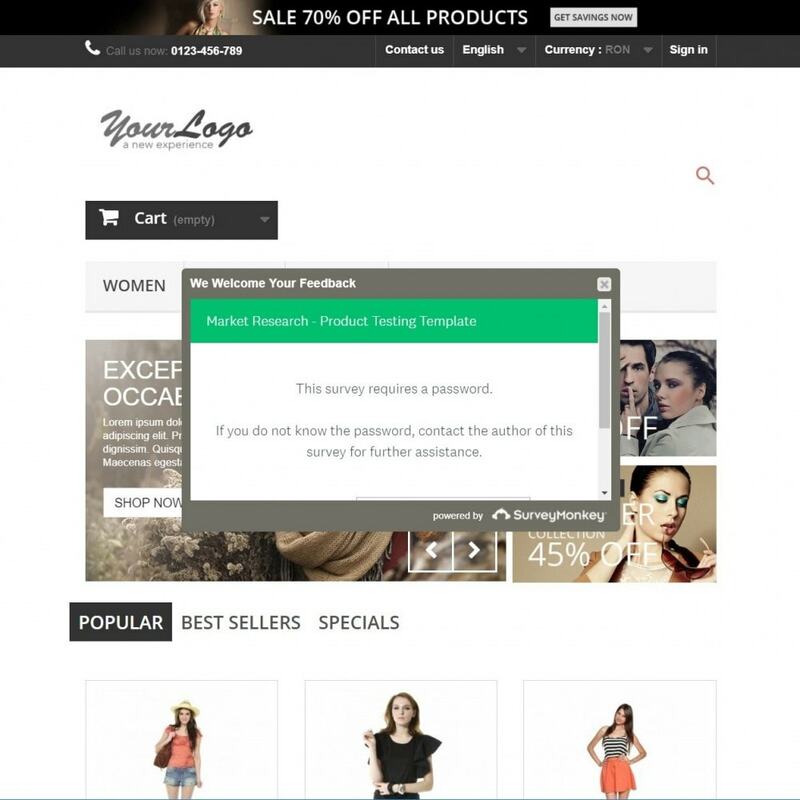 Market Research - Keep track of industry and market trends to stay ahead of the competition. 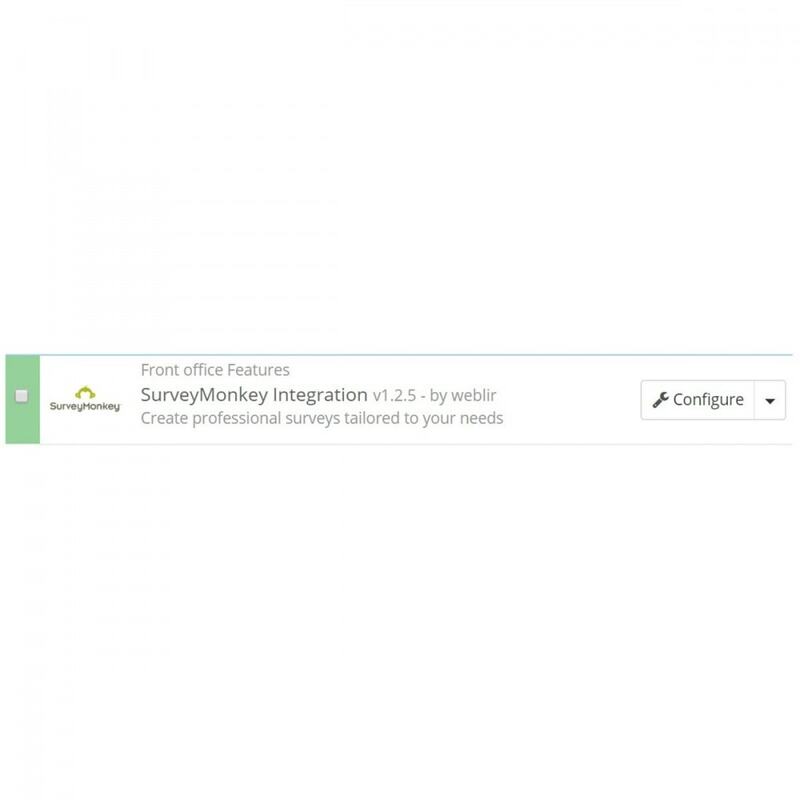 Sophisticated features - Survey logic including advanced branching, conditional questions and page skip logic, AB tests, advanced piping, and more. Ce module permet à vos clients de gagner des points lorsqu'ils passent commande ou lorsqu'il parraine un(e) ami(e). Les points sont utilisables directement depuis la page panier de votre site.